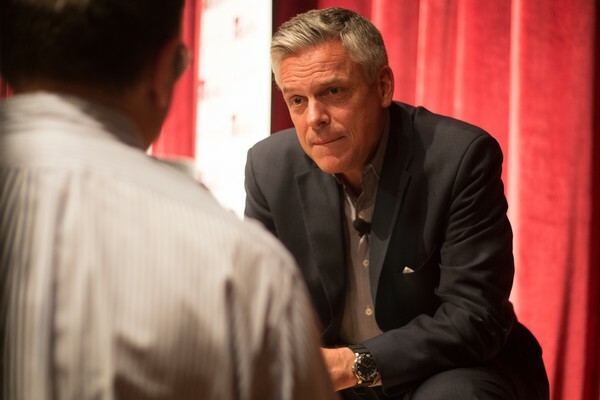 On Monday, Ambassador Jon Huntsman spoke to University students at International House. Huntsman is known for his work as the 16th Governor of Utah, United States Ambassador to Singapore and China, and 2012 Republican presidential nominee. 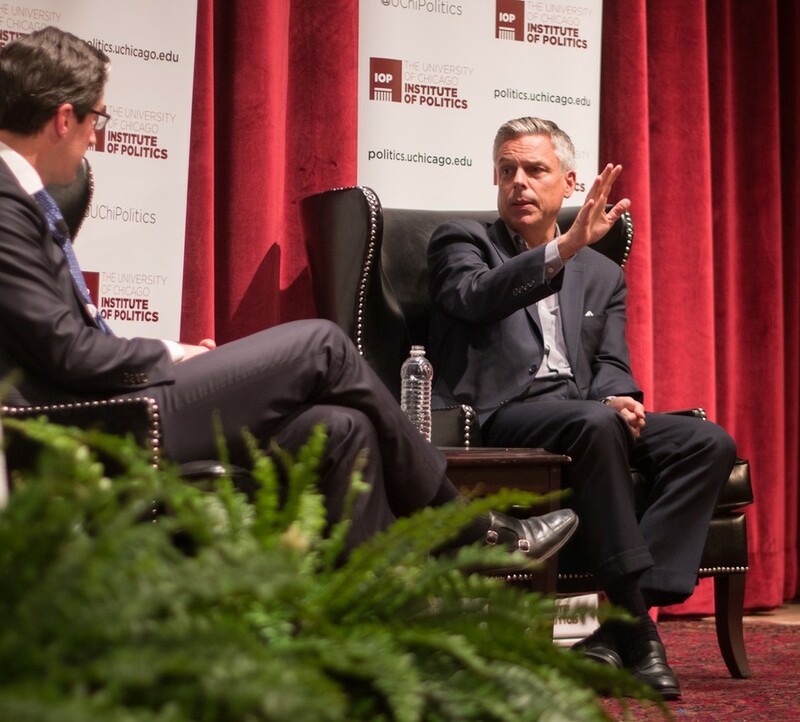 Huntsman addressed the factionalism within the Republican Party during the 2016 election cycle, citing theatrics as a major problem. Politics is no longer about having a conversation with the American people about important issues, he argues, but rather about seizing media attention through spin cycles and sound bites of campaign attacks. “Anger and high volume debates are not a strategy toward victory in the sense of problem solving,” Huntsman said. Huntsman remarked further on the incendiary nature of contemporary politics in his analysis of Donald Trump’s controversial presidential campaign. Though, he noted, parties tend to react in opposition to incumbents, Huntsman called Trump’s popularity an unparalleled form of populism that is, “to the 10th power,” a response to the Obama administration. Huntsman questioned how the business tycoon would carry out his plans to repeal the Affordable Care Act and build a wall between the United States and Mexico. At one point, chuckling at the peculiarity of Trump’s rise to political stardom, Huntsman remarked that he had never foreseen a politically inexperienced, non-veteran, and thrice-married businessman who resides in a gold-plated Park Avenue apartment as a potential president. Huntsman found common ground with Trump, however, in Trump’s unapologetic identification of a dysfunctional system. “I actually applaud him for saying [the political system] is broken and ‘I want to do something about it,’” Huntsman said. Huntsman did not endorse a specific candidate but maintained that he would vote Republican no matter what. “They look at our system and can’t figure it out. They can’t figure out how we remain so great of a country with such a dysfunctional political system,” Huntsman said. Elementary-aged children through adults competed for a grand prize at the 2016 International Korean Traditional Performing Arts Competition, an event sponsored with the Consulate General of the Republic of Korea.